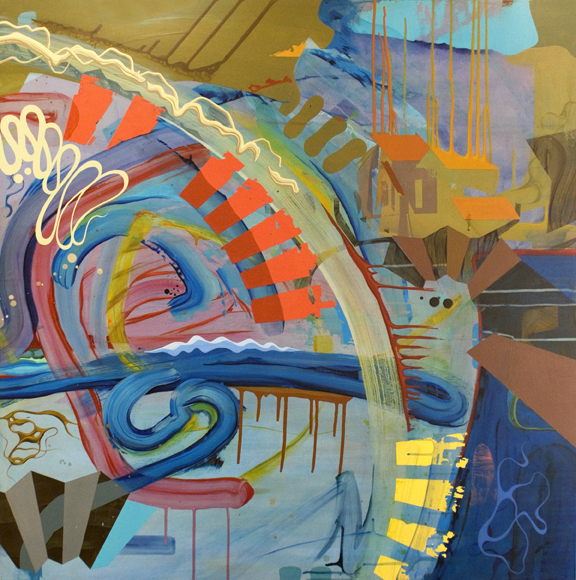 Modified Arts presents “Alan Disparte: Recent Paintings and Videos” on view from January 20, 2012 through Feb. 18, 2012. Opening Reception Jan. 20, 6-9pm. Alan Disparte’s paintings reflect an abstracted landscape rich with themes of industrialism, urban sprawl, organic matter, and geometrics. In the works, the artist seeks to find truth and nostalgia amidst mass production and the modern world. Modified Arts will also present several video works by Disparte, which explore his interest in the subversive nature of media.